Okay, we’re having a discussion about the EGR’s in your small group. And what does EGR stand for? It stands for extra grace required people. Now these are people in your group who probably take a little bit more of your patience a little bit more of your time and they’re just a little bit more difficult to deal with than the rest of the members of your group. Also refer to these as the four D’s, so you’ve got what we talked about last time. The dominator. That’s just somebody who tends to dominate the conversation, maybe turns the discussion back to themselves during the group time. And then you have the dodger, the debater, and the drainer, and for just a minute, I want to talk today about what do you do if you have the dodger in your small group. Now the dodger is the opposite of the dominator. Whereas a dominator talks a lot. The dodger tends to not talk at all or very little during the group time. So what do you do? How do you bring them into the conversation? Let me give you four ideas to try during the group time. First of all, you don’t want to force anyone into the conversation before they’re ready. There’s a lot of people that just need some time to feel comfortable with the group before they’re able to kind of share or discuss their ideas in front of everyone and that’s okay. Especially those who are more introverts. Just give them the time to feel comfortable. Give them two or three group meetings before they feel like they have to talk. The second way that you can get people to talk is just have everyone give kind of they’re a three to five minute life story. Most people are okay talking about themselves. Now the important thing here is that you give them some heads up on this. So if you have somebody that hasn’t entered into the conversation, give them a couple of weeks to prepare so they’re ready with their life story. So just give them about three to five minutes to talk about themselves with the group. The third thing that you might want to do is ask her opinion on something that you know she’s going to feel comfortable answering. So if there’s a question, you’ve looked ahead in the study and you feel like you know what Susan would have an opinion on this, so maybe ask that person directly their opinion on something, that you know they’re going to have an opinion on. And then fourth is to arrange a time outside of the group to kind of get to know that person, get comfortable with them so that they’re comfortable and they have a relationship with somebody in the group before they feel like they have to open up. So just maybe simply meet them for coffee or between services in the lobby. Just something to start that relationship before they have to enter into the conversation with the whole group. So that’s just the things to try if you have a dodger in your small group. The unenthused teenager makes the claim and rolls her eyes as you finish explaining that group sign-ups are this Sunday and you’ve found one for her. Having led your own group for years, you pause. Wait, are small groups in the Bible? We need to follow Jesus (Matthew 16:24). He’s our example (1 Corinthians 11:1). And His main followers? They were a group. You could even call them a small group. Yes, small groups are biblical. What can we learn from the way Jesus led his small group so that we can better lead ours? At least three things. First, we can lead by shaping. In John 21, we see Jesus shape culture. He shaped individuals to shape others. In a post-resurrection breakfast with Peter and others, Jesus asked Peter directly, “Do you love me?” When Peter replied positively,, Jesus kept asking. Each time Peter responded in the affirmative, Jesus told him to feed or take care of Jesus’ sheep or lambs (John 21:7-17). Even though the group was together eating breakfast, Jesus cared about them individually. He remembered their individual history. Peter had denied Jesus three times (Luke 22:54-62), but Jesus didn’t get offended and write off Peter. He engaged with him. He cut to Peter’s core by asking about Peter’s devotion and love—a love that, if real, shapes and transforms. Leading small groups like Jesus means we shape our members to invest in and shape others. When we care for each individual in the group, call our members to a higher way of life, and challenge them to engage with others out of love, we lead well. Second, we can lead by withdrawing. In Luke 5, we see Jesus making disciples through modeling what a disciple should do. Jesus did a lot, but one of the more interesting things he did was withdraw to be with His father. By doing so, He prioritized prayer and solitude for his disciples. If we want to make disciples, we need to be a disciple. We need to be people who lead our small groups into prayer by being people of prayer ourselves. If we do not take time to seek the Father’s face, to saturate ourselves in the Word, and to learn to make our anthem the prayer that His will be done, we face consequences. Burnout. Hypocrisy. Pride. But, if we learn from Jesus, we learn that a good group leader withdraws. And not just every now and then, but habitually.. Finally, we can lead through pain. In John 11, we see Jesus building community by leading through pain. When Jesus learned of Lazarus’ illness and death, He knew He would walk with people through pain. Therefore, He kept hi purpose in front of him: the glory of God in pain and death (John 11:1-4). Sometimes as a leader, you may recognize when bad news is around the corner. You might see that a season of pain or transition for specific people or the entire group is coming. First, remember to keep your purpose in front of you as Jesus did: ultimately, God is at work and can be glorified even in pain. Second, prepare to handle misunderstandings and opposition with patience as people walk through the pain. Third, use your words to address root issues that surface even as you help others work through the struggle together. Leading through pain, you build a deeper community of belief in Christ. We lead groups well when we choose to keep the unified focus on Christ through the pain. Jesus led, and he led well. Following His example, we, too, can learn how to lead groups like Christ led so that we all keep going farther and farther into knowing and obeying Him. Small groups? Yes, they’re biblical (and so worth it). If you lead a small group, the chances are good that you have at least one of what I call EGR’s. What does that stand for? Just extra grace required. Now those are people in your group that take just a little bit more of your patience, probably a little bit more of your time than everybody else. I still refer to these as the four D’s. See if you recognize any of these in your small group. The first one is the Dominator, then there’s the Dodger, the Debater, and finally the Drainer, and what I want to do for just a minute is talk about what do you do if you have a dominator in your small group. And that’s just somebody who tends to answer more questions and everybody else maybe turns the discussion back to themselves. They may be a seasoned Christian so they feel like they have more answers than everybody else. So what do you do if you have a dominator kind of dominating the conversation? Well, let me give you four things that you might try. The first one is just simply how the room is set up for the discussion of your group. You might try sitting right next to the person that dominates the conversation. There’s something about being that close of proximity to the person who’s answering or asking the questions that maybe slow them down a little bit before they jump into the conversation, so you might try that. Also, maybe make eye contact with other group members when you ask the question, especially those that have been introduced into the discussion yet and kind of with your body language invite them to answer the question before the person who usually jumps in as the dominator. And then you might also bring somebody into the conversation by calling up their name, asking them specifically to answer the question. Make sure that it’s something that there’ll be able to answer, maybe more of an open ended question, but invite them in before the person who dominates is able to jump in and if none of that works, it’s always good to meet outside of the group time. Maybe grab some coffee or meet them in the lobby after church and just sit down and explain the mission and the vision of the small group. So that’s some things that you might try if you have a dominator in your small group. I hear from churches and pastors consistently about how small groups no longer work in our modern world. People are too busy for another weekly commitment. Groups organized by the church are too forced for people to connect deeply in community. Yet, we see research telling us that offering healthy small groups will close the back door and help our churches grow. If all of this is true, the question then is: s it possible to have effective small groups in the modern church? I believe it is, and I will be discussing this topic with three church leaders, who are seeing small groups thrive in their influential churches, during our free webinar on October 9th at 11am CDT. Are we really creating disciples through our small groups, or are they just another social group we belong to? How can small groups compete with other church programming? Are small groups just for church members, or can they reach beyond the church building? How much should church leadership try to control small groups? Webinar attendees will receive a free eBook on small groups, and we’re saving 15 minutes at the end of the webinar for live Q&A. Register now if you’re interested, as space is first come, first serve. Hope to see you there for our discussion on effective small groups in the modern church! Each year we serve 60,000 plus churches with some type of resource. It has been a deep honor to be in this role and it has given me a bird’s-eye view of how the Lord uses lots of churches to mature and shepherd His people. Here are five lessons I have learned or re-learned over the last seven years. While there are certain acts, like making the casserole or opening your home, that are indicative of hospitality, the characteristic itself has a deeper meaning and implication than these actions. The word hospitality comes from the combination of two words: “love” and “stranger.” Literally, then, hospitality is the love of strangers. If you had to divide the world into 2 categories, what would those categories be? I’ve a list of possibilities. This is but a smattering of my list, but you get the point, and you have a list of your own. I enjoy this exercise because it forces me to boil things down to their simplest terms. I am forced to keep the main thing the main thing. There are another set of boundaries we don’t discuss as often today—guidelines and focus for our ministries. The Book of Acts doesn’t seem like a book about leaders who set up boundaries… The book is filled with admonition that boundaries seem limitless, yet good leaders do have boundaries in order to maximize their effectiveness. 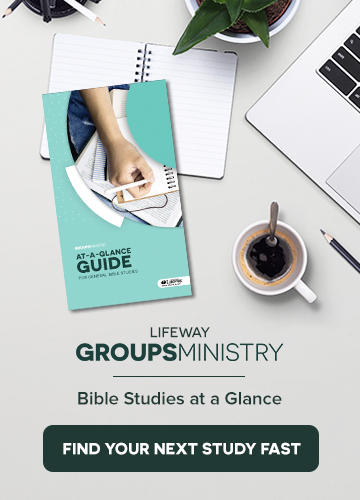 We know that the effectiveness of a Bible study, especially in a group context, is tied to the leader. Are they prepared? Do they understand the material? Can they answer questions about it? We also know that training group leaders is a challenging thing to do because of time constraints, scheduling conflicts, varying experience levels, and more. So the question is: Are the leaders for your church’s groups well-prepared and ready to shepherd others? The value of any teacher—whether he or she has never led a group or has been leading groups for fifty years—is his or her desire to learn—and keep learning. Unfortunately, too many leaders assume they know exactly how to lead a group, and that assumption is based on how someone once led them. Too often, bad teaching skills are simply passed down through the years. But even for those among who do know how to facilitate a group, it’s wise to keep learning. The message of Scripture never changes, but methodologies change. Different generations process knowledge and interact with one another in different ways. Culture has an impact on the teaching-learning process, so there is great value in continually looking for ways to improve. And if our desire is to honor Christ through our groups, wouldn’t that include a desire to give Him our very best? Let me suggest three ways you can invest in your group members by becoming a better leader. Self study. Pick up a book and read it! Many books are available on creative teaching, facilitating a group, and leading effective Bible study groups. A set of books I have found especially helpful over the years are written (or co-authored) by David Francis. Each book is intensely practical. Although short (48 pages), each book is not one to breeze through. Read a chapter, mull it over, and consider ways to apply it to your leadership. Group planning. If your group is a part of a planned, strategic discipleship strategy in your church (and I sincerely hope it is), consider getting with other group leaders to plan. When the leaders are studying the same book or using the same curriculum, they can come together and share ideas. Some churches do this weekly; some do it monthly. I can immediately call to mind specific stories of how my group study was enriched because of planning beforehand with others. On some occasions, I have walked into the planning meeting with a solid plan in place, but as we discussed ideas for leading, I left with an even stronger plan. On other occasions, I struggled with how I would approach a certain issue or part of my plan. As I shared my concern and we discussed it, I left the meeting with a great solution. Conferences. Check around for Bible study training occurring in your area. Some denominations (Southern Baptists, for example) offer training events on a state and local level. These conferences are led by experienced practitioners and offer great tips for working with different age groups, developing a creative study, facilitating a discussion, and on and on. One benefit I particularly enjoy is interacting with leaders from different churches. We learn from each other. Leading your group has kingdom impact. It is significant! That reason alone should be the impetus for doing what you can to continually hone your skills as a group leader. Take advantage of the opportunities before you. When I am taking time to work on a system, I like to think in frameworks with key questions. Asking those probing questions forces issues to the surface that we would have never discussed without them. I am also a big believer in working on it with a team. I am an introvert by nature, so it would be easier for me to work it out alone, but way less effective. A team outhinks an individual every time. So as you pull your team together to plan for the future, here are four questions that I use to help filter the conversations toward results. This is where we can have a tendency to get stuck, but we have to spend some time here to get to the next stage. George Santayana said, “Those who cannot remember the past are condemned to repeat it.” What is the foundation for what you are attempting to build? If we rush into a new system without considering what it’s replacing, we will just make the same mistakes. Spend some time in your planning asking about what has been done before, but don’t stay in this stage too long. This is your current reality. Take some time at this stage to do a careful analysis of your current systems and events. What is working, and what is not? What should you stop doing, and what should you start? Make sure that you have the latest facts as you spend time in this stage. It’s impossible to plan for the future when you don’t know the current state. Do some research and find out what the numbers are. It may be painful, but it’s necessary to get a 360 perspective before you can move to the next question. Now that you have spent time dreaming about all of the possibilities, it’s time to decide on the initiatives that are realistic to tackle now and set goals for achieving them. Make sure to hang on to all of your ideas from the last stage and keep them somewhere to return to later. At the end of this stage, determine the one or two goals that you have to achieve in the next six months or everything else will be a failure. In the military, this is referred to as the “Commander’s Intent”—a concise expression of the purpose of the operation and the desired end. How can the next six months be summed up, and what is the desired final result?